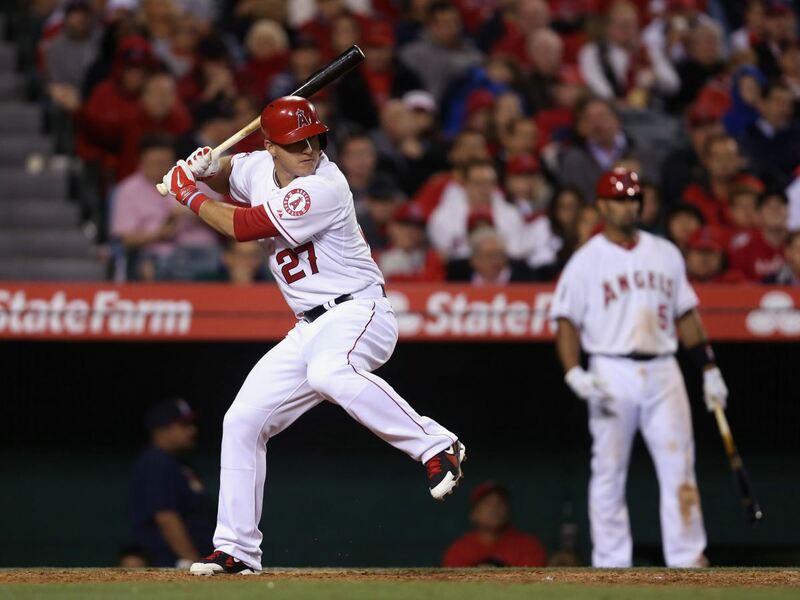 We can probably all agree that Mike Trout of the Los Angeles Angels had the best numbers for a player in the American League this year. I don’t argue that, nor am I trying to take that away from him. But my vote was based more on who was more valuable to his team this year in the league, and in my opinion that man is Alex Gordon. Not too long ago I made Gordon’s case for MVP, as I felt he shouldn’t be overlooked when it came time for the voting. 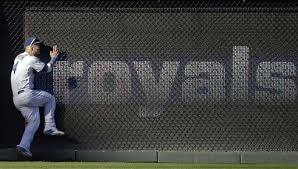 I know I am a bit biased, if for no other reason than the fact that I watch the large majority of Royals games during the season. The thing about Gordon is his numbers don’t tell the whole story; he is the leader of this Royals team in so many facets of the game. Obviously his defense is of another caliber, as most know. His WAR numbers get a nice bump from his defensive metrics, as he finished the year 7th in the AL in bWAR with 6.6 and 5th in fWAR with 6.1. You could also add in the 27 defensive runs he saved this year on defense, 1st in the league with Josh Donaldson far behind in 2nd place with 20 DRS. 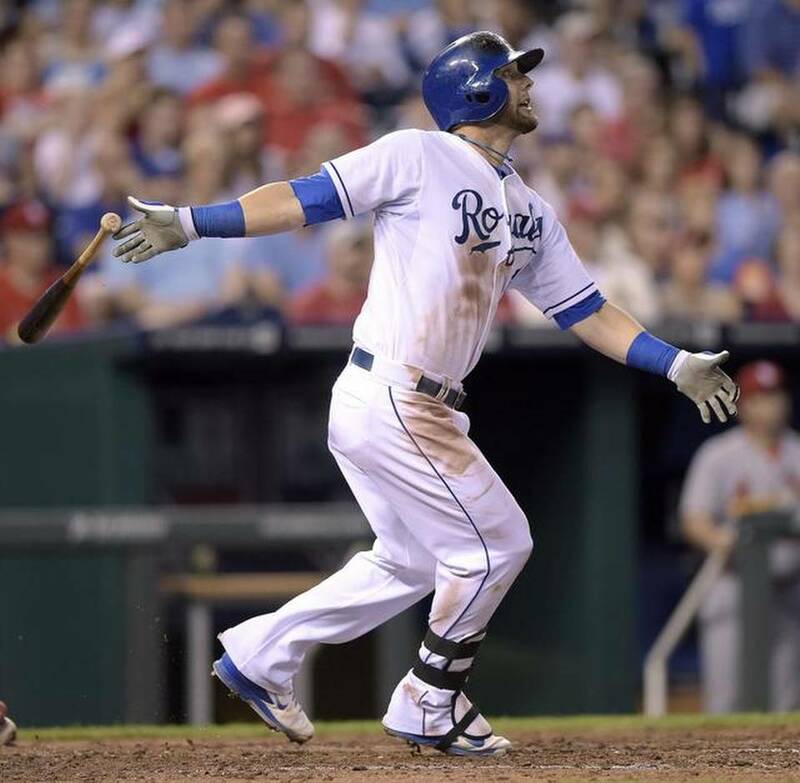 Gordon is also an excellent base runner, and was most valuable when the Royals needed him to be. Gordon basically carried the team on his back in August, a month where the Royals made one of their biggest pushes for a playoff spot. Gordon had a slash line of .292/.356/.585 with 9 home runs and 16 RBI’s. 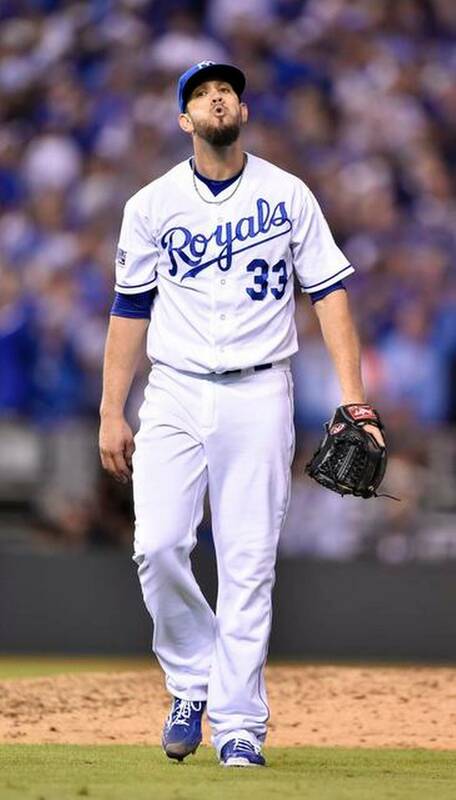 Alex was what the Royals needed when they needed it this year to help propel them to the playoffs. This Royals team doesn’t go on the run they went on in the playoffs if not for Gordon being a leader during the regular season. 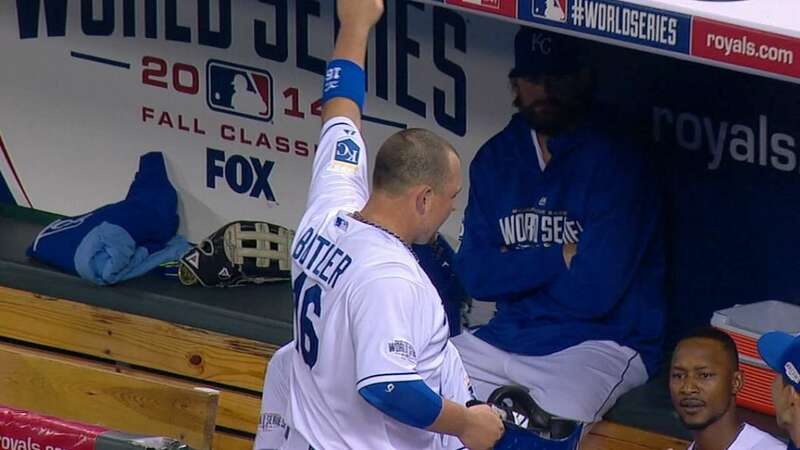 In fact, without him this Royals team doesn’t even get to October. For that, my most valuable player vote goes to Alex Gordon. 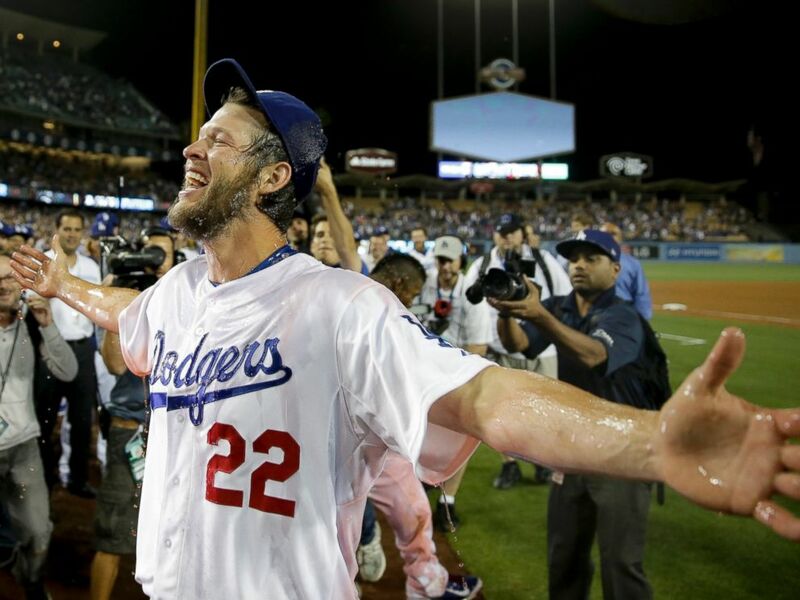 What else can be said about Clayton Kershaw’s season that hasn’t already been said? Kershaw had a season for the ages, one that was so good that the comparison’s toward all-time great Sandy Koufax don’t really feel far-fetched anymore. Kershaw lead the league in Wins(if you like that sort of thing), Win-Loss Percentage, ERA, Complete Games, ERA+, FIP, WHIP, Strikeouts per 9 inn., Strikeout to Walk Ratio and was an All-Star as well. Oh, and he threw his first career no-hitter, a game so dominant that only one other pitcher(Kerry Wood) has thrown a better game, and that was just a piddly 20-strikeout game. All this while missing the entire month of April(after throwing the season opener in Australia)! Kershaw was so dominate this season that I also felt like he was the MVP of the National League, which some folks in baseball(hello, Tommy Lasorda) feel a pitcher shouldn’t win the award for Most Valuable Player. But when a pitcher has a season like this (and no other major candidate really sticks out) it throws that pitcher into the MVP conversation. I had seriously considered both Andrew McCutchen of Pittsburgh and Giancarlo Stanton of Miami for the award, but alas I felt Kershaw was more valuable to the Dodgers success than either of those two were for their teams. Kershaw winning MVP isn’t like Willie Hernandez winning American League MVP back in 1984; Kershaw is not only an elite pitcher at the moment but if he continues on the path he is going he could be an all-time great. So as preposterous as some believe a pitcher winning MVP is, just remember it in the proper context; Clayton Kershaw is the best pitcher in baseball and it isn’t even close. Out of all the votes I had to place, this was easily the toughest decision to make. It came down to Hernandez and Corey Kluber of Cleveland and honestly, a pick either way didn’t feel like a bad one. As someone who watches close to every Royals game during the season I had seen Kluber several times and saw just how dominant he was for the Indians this year and in some ways that almost swayed my vote. Obviously in a close vote you compare numbers and once again, they were pretty damn even. David Schoenfield goes into great detail about just how close this race was and why really neither pitcher was a bad choice. My only hope is no one voted for Kluber just based off of win totals; that would just seem silly. I think the biggest argument for Hernandez(at least in my eyes) was his streak of 16 starts of at least 7 innings giving up 2 runs or less which he held this year until August 17th. The previous mark was set all the way back in 1971 by Tom Seaver as he set the mark of 13 starts. In this day in age, where most starters have a rough time going more than 6 innings a start and where teams employ lockdown bullpens as part of their strategy, the fact a starting pitcher could accomplish this feat is borderline amazing. The fact that Hernandez was able to accomplish this really swayed my vote and was enough to warrant his second Cy Young award. The real point of this is that if I would have gone with Kluber it wouldn’t have been a bad choice either; there was no bad choices. Just two pitchers who had excellent seasons and both deserved consideration for this award. This was about as easy a choice as possible. From almost day one Abreu showed he was the real deal, which is never a certainty with any talent from Cuba. But Abreu made sure it was known early he was as advertised, hitting 29 home runs, a slash line of .292/.342/.630 and an sOPS+ of 169 in the first half of the season. His power numbers went down in the second half, hitting only 7 home runs while producing a slugging percentage of .513 and raising his batting average and sOPS+. I’m sure the longer season wore on Abreu, but all in all he put in a rookie season that should be praised for years to come. It’s a bit unfortunate that Abreu ran away with this award, as the American League put together a nice crop of rookies in 2014, from New York Yankees Masahiro Tanaka and Dellin Bettances to Kansas City’s flame-throwing hurler Yordano Ventura. All had really solid opening campaigns but none matched Abreu who should be a solid bat in Chicago’s batting order for years to come. This race was much closer than it’s AL counterpart, as it came down to New York Mets pitcher Jacob DeGrom and Cincinnati’s Billy Hamilton. Honestly, an argument for either rookie is valid and a part of me almost voted for DeGrom. 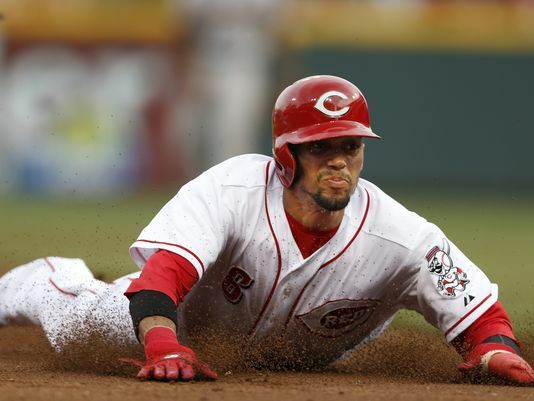 But I liked all the different area’s of the game that Hamilton helped the Reds this year. Everyone knows of Hamilton’s speed, he of the 56 steals this year. But he also produced 200 total bases only grounded into 1 double play this year and 39 extra bases. There was a small downside to his year; Hamilton struck out a ridiculous amount for a top of the order guy, 117 times, and was caught stealing 23 times. Both of these facets will need to be improved upon in 2015 for him elevate his game. Defensively Hamilton was more than solid; 14 defensive runs saved in 2014, 10 assists and an 1.8 dWAR. Overall a more than solid rookie campaign for Billy Hamilton(and likewise for DeGrom) and for the Reds sake(especially if they want to contend in 2015) hopefully he can grow on it. I mentioned earlier that I should have waited and locked in my votes during the last week of the season and this selection is a big reason why. 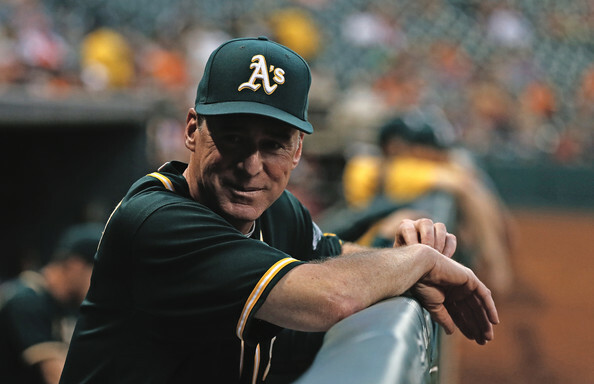 Do I think Bob Melvin did a fabulous job managing the A’s in 2014? Of course. This was a team that was one of the elite in baseball for a large chunk of the season, a team of no superstars, compiled together and platooned–yet they still reached the playoffs. But just barely and Oakland’s second half collapse almost cost them that postseason spot, one they didn’t clinch until the last weekend and left them in Kansas City for the one game “battle to the death” Wild Card game. For that reason I feel like I should have waited to vote, as Buck Showalter deserved high praise for this honor and very well might have been my vote. Hell, throw Mike Scioscia’s hat into this argument as well, as the Angels came from behind to not only win the American League West but put together the best record in the league. Lesson learned by me, but I still think Melvin should get a ton of credit. No way does Oakland even sniff the playoffs if an average manager is in charge of this team. Melvin maneuvered and coddled this roster and got top notch performance out of his team. Something has to be said for being able to get the most out of the talent you have, especially when your talent doesn’t always match up with the best teams in baseball. The easy thing is to say Hurdle deserved this honor more in 2013. 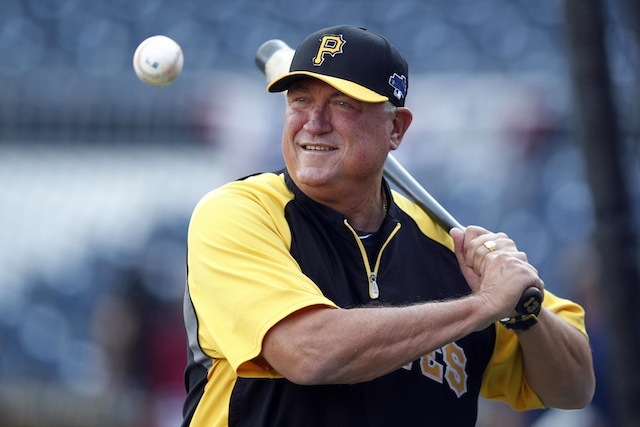 That year he guided Pittsburgh to their first playoff spot in over 20 years and helped the Pirates slay some demons. But for all the love Hurdle got in 2013, he deserves even more for his managerial work in 2014. Hurdle helped the Pirates reach the playoffs again this past season and did it without their ace from 2013(A.J. Burnett), their closer fizzled out and was eventually traded(Jason Grilli), they lost their star(Andrew McCutchen) for a few weeks and lost their future ace(Gerrit Cole) multiple times to the disabled list. Despite all of this the Pirates made back to back appearances into the postseason and although that only lasted one game(thanks to Brandon Crawford and Madison Bumgarner) it just showed the great job Hurdle did as manager this season. Honorable mention should go out to both Matt Williams of Washington and Mike Redmond of Miami. Both did a great job with their team this past year and that was not lost on me. It just felt like Hurdle accomplished the insurmountable and continued to show that he has been one of the best Pittsburgh acquisitions the last few years. 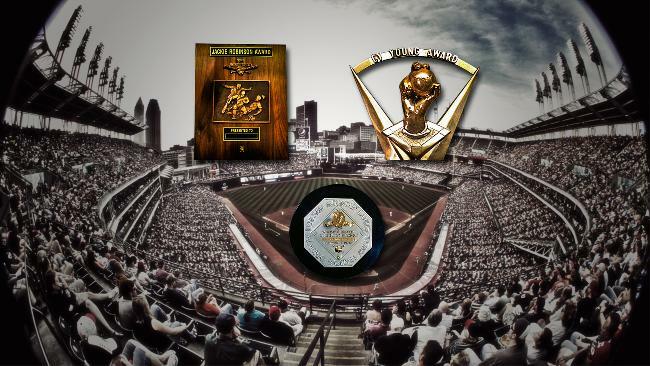 So there you go, my picks for the 2014 IBWAA end of season awards. This was a great learning experience and makes me even more pumped for my next ballot, the upcoming Hall of Fame vote. Voting seems like an easy chore from the outside looking in, yet there is a decent amount of pressure if you take them seriously. I have a feeling that the next vote will go a bit smoother. The great thing about the voting process is that they inspire endless debate. One man’s vote is another man’s worst nightmare…that was mainly meant for anyone who voted Ned Yost ‘Manager of the Year’. So you might not agree with my vote’s, just know that can go both ways. It is all just a matter of opinion at the end of the day. 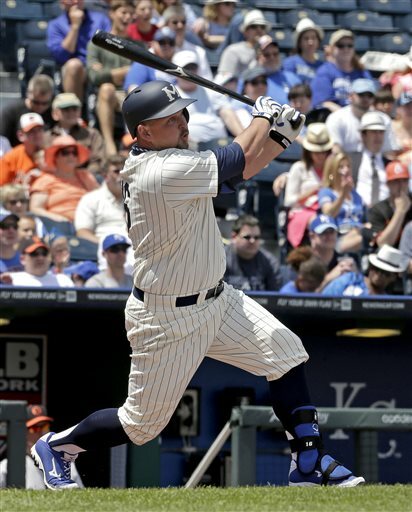 It was inevitable that Billy Butler would be leaving Kansas City this year, the only question was where he would be landing. We got our answer Tuesday night as it was announced that Butler was headed to the west coast to join the Oakland A’s, agreeing to a 3 year/30 million dollar contract. I have seen a lot of varying opinions on the signing and it’s affect on both Kansas City and Oakland, so let’s look at the fallout from Butler’s signing. Let’s start with it’s affect on Oakland. They get the right handed bat they wanted for the middle of the order, and they plan on playing Butler at both DH and first base. Where will he bat in the order? Melvin already spoke to Butler, told him he'll likely hit cleanup vs. lefties. Facing righties, Melvin sees Donaldson-Moss-Butler as 3-4-5. So there you go. Billy had been wanting to play some more first base the last few years and that just wasn’t going to happen in Kansas City, unless Eric Hosmer would injure himself again. Oakland also has a number of run producers in the middle of their offense, guys like Josh Donaldson and Brandon Moss, so Butler won’t be asked to be the main cog in the offensive machine. A lot of times in Kansas City Butler was asked to be “the guy”, which just wasn’t realistic. This will give Billy the chance to perform with a little less pressure than he had for the Royals. For all we know, Oakland’s hitting coaches Darren Bush and Marcus Jensen will be able to unlock some of the power that has been missing from Butler’s bat the last two seasons. The affect on the Royals will be quite pronounced, as the team will finally be able to use the DH as a rotating position like they have wished for the last few seasons. This will give guys like Salvador Perez and Alex Gordon days off in the field, and even help a veteran like Omar Infante rest a day if they are experiencing minor injuries. In my mind this also means they need to sign not one, but two OF/DH types this offseason. If they are going to not only replace Butler’s numbers but also gain on them, they need more than just one bat. The honesty of this situation is that the Royals are not a great offensive force, and even to say they are “good” might be questionable. So if they are wanting to improve the offense, acquiring just one bat seems very shortsighted. Getting two bats, plus throwing in Jarrod Dyson occasionally gives them a chance to rotate players and use the DH the way they have dreamed of since 2012. Moore said they shied away from a major financial committment to Butler because they wanted to "free up our resources" to improve SP, RP. 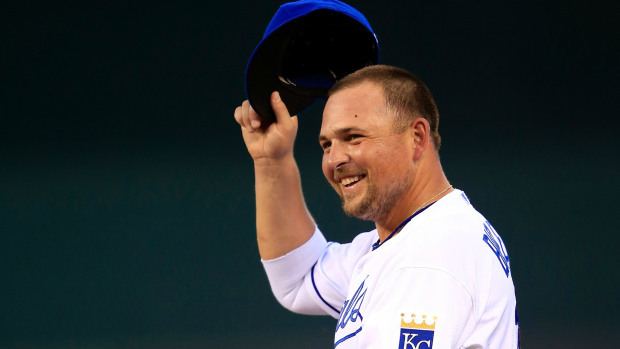 Billy Butler on his time ending in KC: "It hurts a little bit that I'm not going to see the rest of it, but I'm on to a new chapter." David Glass expressed his affection for Billy Butler, and will miss him. But, he admitted, "It’s probably the right thing for both of us." So how much of this was about money? Butler calls himself very loyal. Says Beane was first to contact him, showed great genuine interest: "It hit me where it mattered most." Butler: "I think everyone on the other side has definitely liked the white cleats. I’m looking forward to wearing them." I am like most Royals fans in that I would have liked to have seen Butler return to Kansas City. But I understand that sometimes the financial aspect of baseball makes it hard for a team(especially a small market team) to keep a player for the duration of his career. 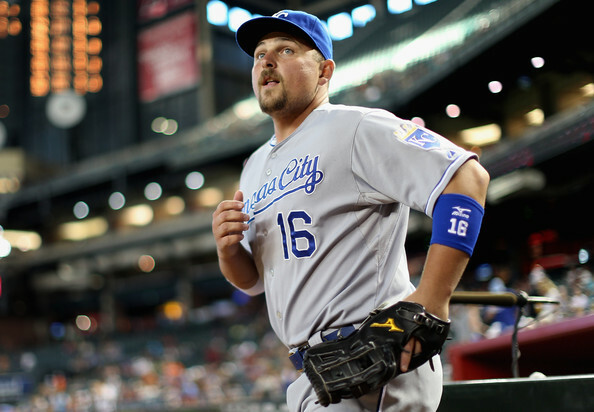 It was a great 8 years that Billy Butler and the Kansas City Royals got to share together. 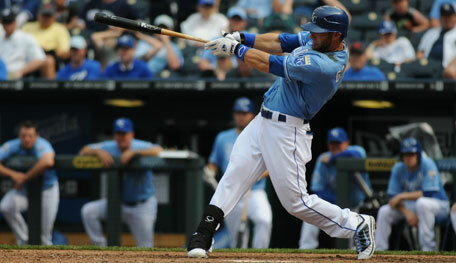 I know I will never forget hearing Kauffman Stadium chant Billy’s name at the 2012 Home Run Derby. 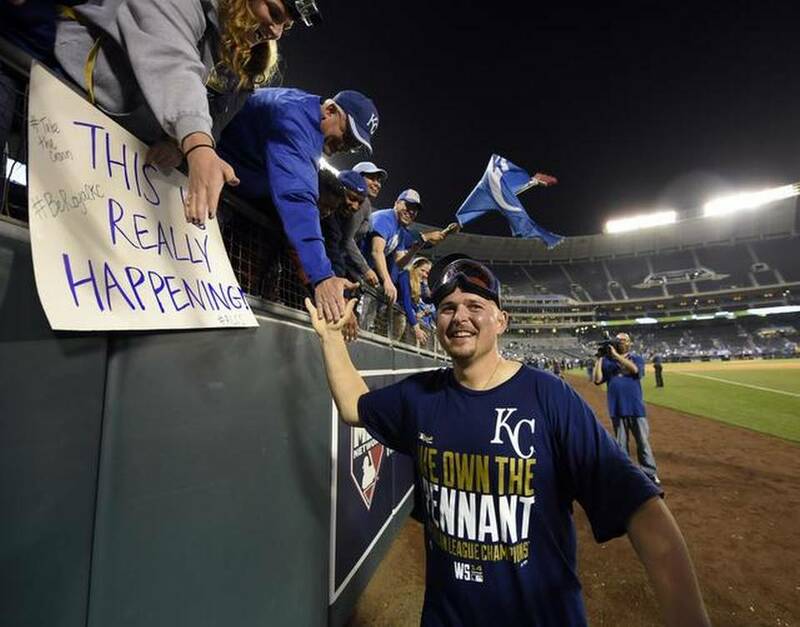 There was definite love that night between the fans and Butler, as there was during Game 3 of the ALDS this October when Butler stole second base. Butler loved Kansas City and for the most part Kansas City loved him. I wish the best for Butler in Oakland and plan on cheering him when he returns to ‘The K’ in April. We still have the memories, folks. We should always remember though that nothing lasts forever, even cold November rain. 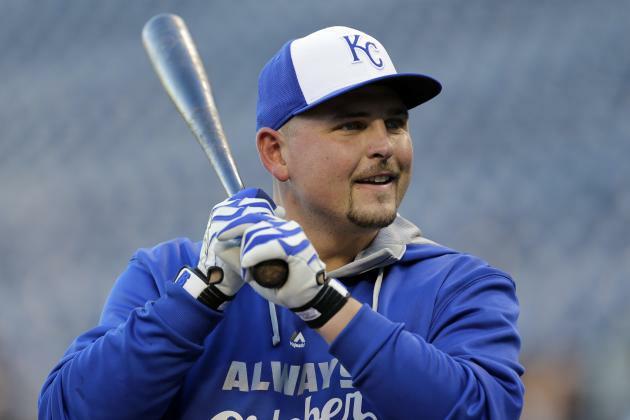 The new chapter for the Royals involves no Billy Butler, as it should. Life and baseball moves on, as it always will. 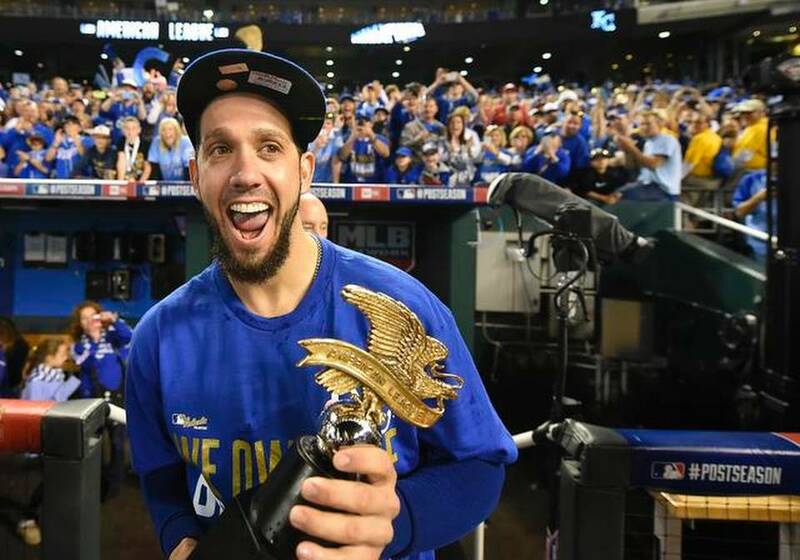 On Monday the Kansas City Royals extended a qualifying offer to ace James Shields, a $15.3 million offer that assures the team will receive a compensation pick for Shields if he signs with another team before June 8th. Shields can accept the offer, but he has to by November 10th. The odds say he will not accept it, as Shields will be looking for a multi-year deal at possibly a higher rate this winter and there are many teams(Red Sox, Cubs, Angels, Yankees, etc.) who will be enticed by James’ ability to be a workhorse for any team he has been with. 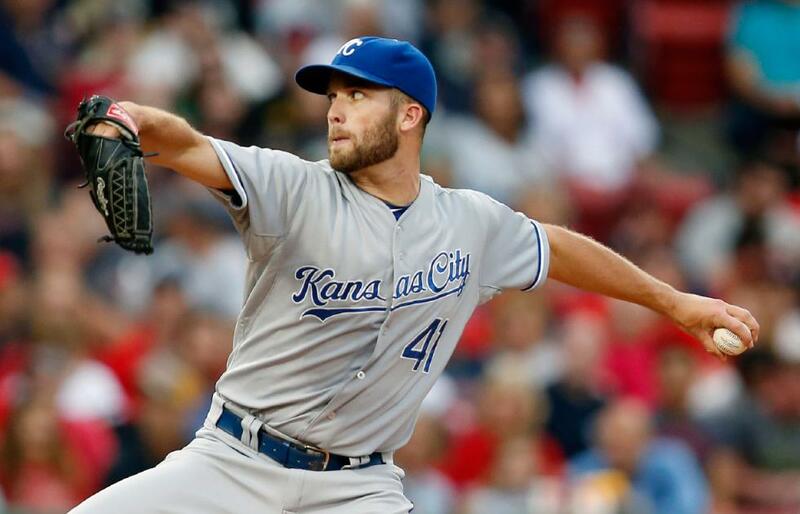 It appears Kansas City will make a run at Shields, as evidenced by a report back in October that the team would offer him a 5 year, $80 million deal. But would this be the best thing for the Royals? Not in my eyes. This is not an indictment on Shields or his performance. 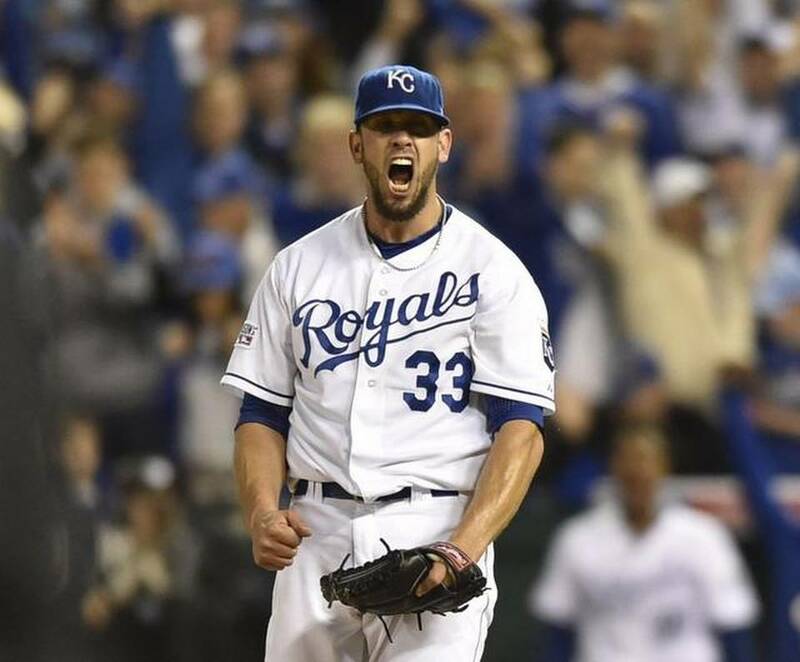 ‘Big Games James’ did what the Royals wanted him to do; stabilize the rotation, bring leadership to the clubhouse and get Kansas City to the playoffs. Check, Check, and Check. Shields has driven the rest of his rotation mates to reach the 1,000 innings plateau the last two years and even though they didn’t reach that goal, they came close both years. He was a great influence on both Danny Duffy and Yordano Ventura, helping them keep their focus and teach them how to be aggressive on the mound but not ‘too aggressive’. As much as I cringe when people bring up ‘character guys’, Shields is one and has shown this team of young players how to win and how to handle pressure situations. I scoffed at most of this when the trade from the Rays happened, but he has done all of these things and more to get this team to the playoffs for the first time since 1985. So there is value in Shields beyond just numbers and these are things that might not even be replaced if(when) he signs elsewhere. But is he worth the 5/80 number thrown out there, or even more than that? To me this isn’t even about the numbers as much as the years. James Shields will turn 33 in December and has logged a lot of innings on that arm. A-LOT. 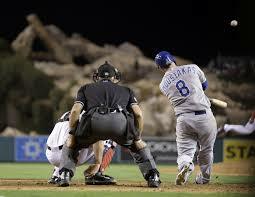 In fact, he has accumulated over 1900 innings during the regular season and another 59 in the postseason. He has been fairly lucky injury wise, but it is normally only a matter of time until issues start showing up. If Shields was brought back for 5 years, that means he would be 38(almost 39) by the end of that deal. Can you see him holding up that late in the deal? I can’t. In fact we are already seeing a bit of regression. Over the last few years he has been using his changeup less and less, and even this postseason was mentioned as being more of a “cutter and fastball” pitcher. This isn’t always a bad thing(some think Shields’ changeup has been overrated) but when he doesn’t have a feel for his changeup, he has trouble, as evidenced in Game 1 of the World Series. Shields is a competitor and seems like the type of pitcher who would adjust as time takes away the zip on his fastball and the dip in his changeup. But it’s more probable that Shields will continue to regress and not be even close to the pitcher he is today by the end of a 5 year deal. That brings me to a bigger concern, that being the sentimental aspect of this whole scenario. 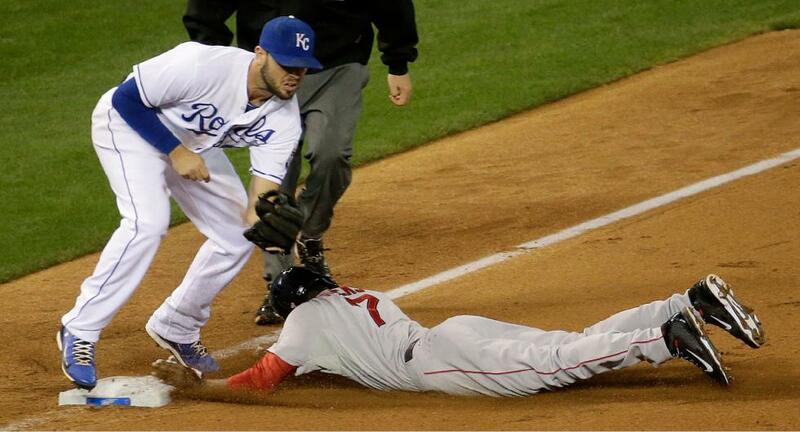 Look, we all loved the run the Royals went on in October. For many it brought out the little kid in us and reminded every one that even though baseball can take you down deep in the depths, it can also lift you to heights you would never imagine possible. But now that the season has ended it’s time to come back down to earth and look at this team from a realistic viewpoint. That means no bringing players back just because they were a part of the “American League Champion Kansas City Royals” and instead looking at the situation on whether that player(s) is a good fit for the team in not only 2015 but beyond. 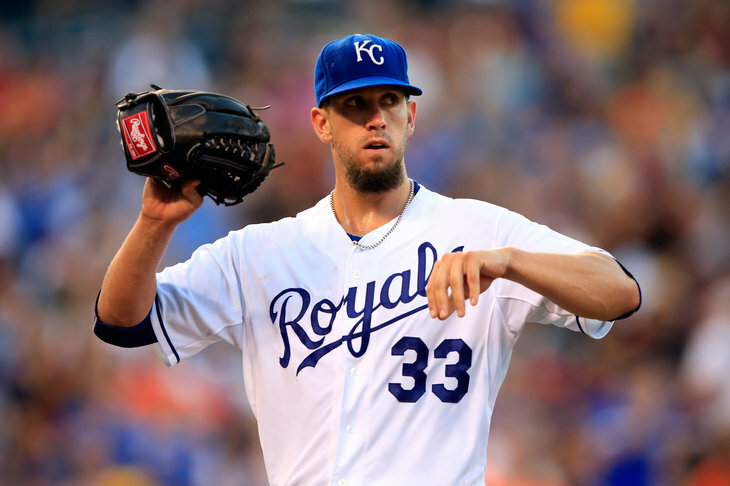 Does 5 years of James Shields really look good for this team? I love the guy as much as the next Royals fan but I also realize that regression is on his doorstep and it probably won’t be pretty. 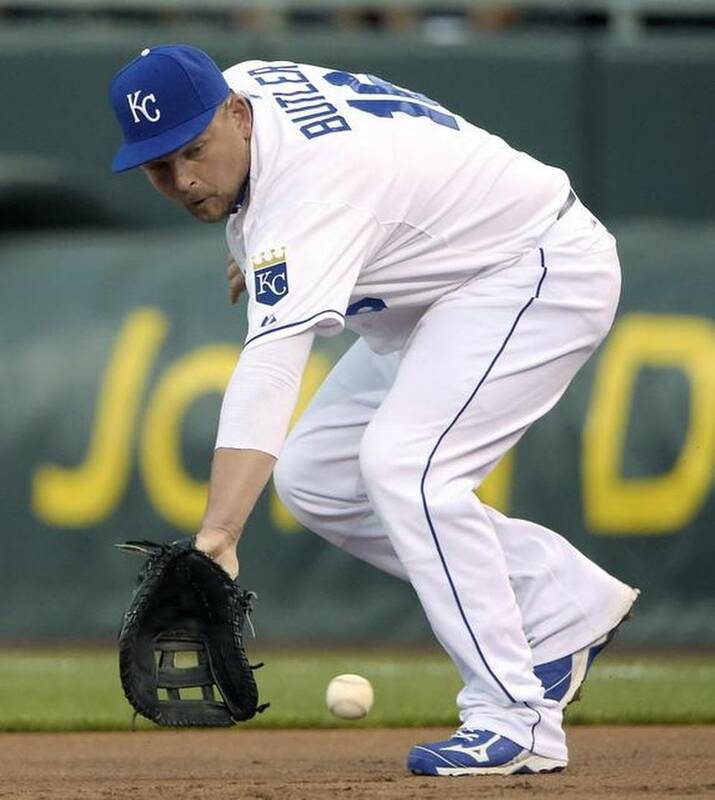 The sentimental factor especially comes into play with Billy Butler, who has been a part of this organization(easy for me to say) since he was drafted by Kansas City in 2004. Butler’s option for 2015 was declined by Kansas City, as his salary would have risen from $8 million a year to $12 million. But there are other factors that the team shouldn’t bring back “Country Breakfast”. Maybe the biggest reason for the team to not bring back Butler is the fact that the team has discussed making the DH a rotating position for two years now and it would seem foolish now to change course just because the team could lose a longtime staple of their lineup. I’ve long been a supporter of Butler but unfortunately 2014 was a major downturn for him when it comes to production. Just going off of the stats Butler looks like a guy who has begun his regression at a younger age than most players do and his power especially has slid to a meek 41 total extra bases this past season. Back in 2009 Butler had 51 doubles alone not even counting the 21 home runs he hit that year…and 1 triple. Can’t leave out the triple! Yes, Butler could bounce back and put up numbers comparable to his 2009 and 2010 where his OPS+ was 125 and 134 respectively. Numbers like 2012? Probably not. That was a career year if there ever was one. But he could bounce back. But the numbers factor alone shouldn’t decide whether Billy comes back or not. With the team wanting to rotate the DH, that will leave Butler with less at bats and less games to show his worth. He also loves playing out in the field, and the Royals just aren’t good at resting Eric Hosmer(he of the Gold Glove defense) and letting Butler get some reps at the first base. So Butler could come back(and it has been discussed within the organization)but it would be on a lesser salary and less playing time. That doesn’t bode well for a player who needs to pile up better numbers so he can get another big contract before he trots out to that corn field in the sky(Wait, that makes it sound like Butler will die when he is done playing baseball. Not what I meant. My bad). Baseball players have a fairly short amount of time to make as much money as humanly possible. Butler, soon to be 29, is running out of time. Coming back to the Royals, no matter how much he loves this team and the town, just seems like the equivalent of spinning one’s tires. Personally I would love for Butler to retire a Royal, but I get why he needs to leave, and now makes the most sense. Even if it crushes my son, a huge Billy Butler fan. The hardest thing about baseball is that it is a business, and no matter how much joy it can give you, it’s always lingering around to remind you that nothing lasts forever(even cold November rain). Dayton Moore has some tough decisions to make this offseason, especially when it comes to two key elements of a team that ventured to the World Series. 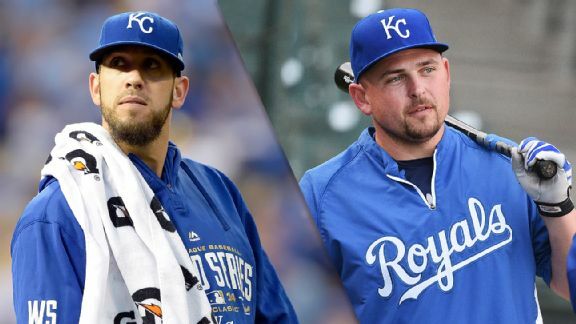 James Shields and Billy Butler are two players I have enjoyed watching excel at their craft. But with the Royals being a small market team, they have to be especially intelligent when it comes to structuring a roster that can return them to the playoffs in 2015. With that in mind, it seems like it would be wise to let Shields and Butler go. It might not be what the heart wants, but the brain should be the one making the decisions this winter for Kansas City. If you are a Kansas City Royals fan you have probably uttered the question ‘is this really happening?’ more times than you can remember this past month. There were high hopes coming into the 2014 season, and even dreams of their first playoff appearance in 29 years floated in most fans mind, even if there were still concerns about this team. I freely admit I was a bit skeptical about their chances and whether a team with a wildly inconsistent offense and a tendency to focus on more old school offensive methods could stack up enough wins to lock up a playoff spot. Little did we know that the Royals would far exceed any of our expectations and cement themselves into our minds and hearts for years to come. Early on it appeared the Royals were very Jekkyl and Hyde, as at times they looked like an elite team that could contend throughout the summer months and possibly even topple the Detroit Tigers in the American League Central. Other times they looked like the worst parts of the previous season Royals, struggling to score runs and being held back by a stagnant offense. Nori Aoki looked like regression had begun to sink in, Mike Moustakas looked like he had left his swing in Arizona, and Billy Butler and Eric Hosmer were both hitting well below expectations. May saw Pedro Grifol transitioned from hitting coach to catching coach(yes, that still seems to be a made up position) while 3rd base coach Dale Sveum would take over the hitting coach duties. At this point the pitching and the defense were keeping this team in games, but the offense just wasn’t carrying their weight. June was another story though, as the Royals would go on a 10 game winning streak, even toppling Detroit and taking over the lead in the American League Central. 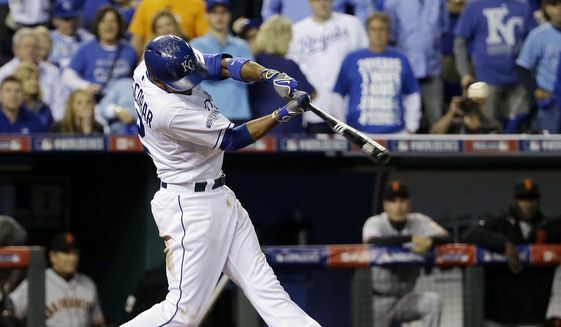 Everything was falling Kansas City’s way, with hits dropping in when needed, hard hit balls being hit by opponents right at Kansas City defenders and even passed balls bouncing right back to Royals catcher Salvador Perez. Everything seemed to be on course and was the first sign that this wasn’t the Royals of old. Yes, they were a streaky bunch, but did enough things right during their lull’s that they weren’t going to fade away late in the season. Maybe the highlight to this point of the season was the development of two young starting pitchers, Danny Duffy and Yordano Ventura. Duffy had dealt with a number of setbacks over the years, to the point that some wondered if he would ever really put things together. After a short stint in the bullpen, the rest of baseball took notice in June when Duffy would keep Baltimore in check, pitching perfect baseball for the first 20 batters of the game, pitching into the 8th inning while only allowing 2 hits. Outside of a rough September, Duffy was probably the Royals best starter throughout the summer and made the case to be the team’s #1 starter in 2015. Early on Ventura showed the rest of baseball why there was a buzz around him with a fastball that could reach triple digits and a curve and change that was constantly improving. There was some concern in late May as Ventura would leave a start early due to elbow discomfort but the injury ended up being minor and Yordano would only miss one start. The concern did cause Ventura to pitch a bit smarter, choosing to “throw fire” a bit less and let the Royals top notch defense take care of things for him. Yordano would have his ups and downs during his rookie campaign, but there was more good than bad and it was easy to see why the organization is excited about having him around for years to come. August saw another hot streak for the Royals, one that would push the Royals back up to the top of the Central Division. 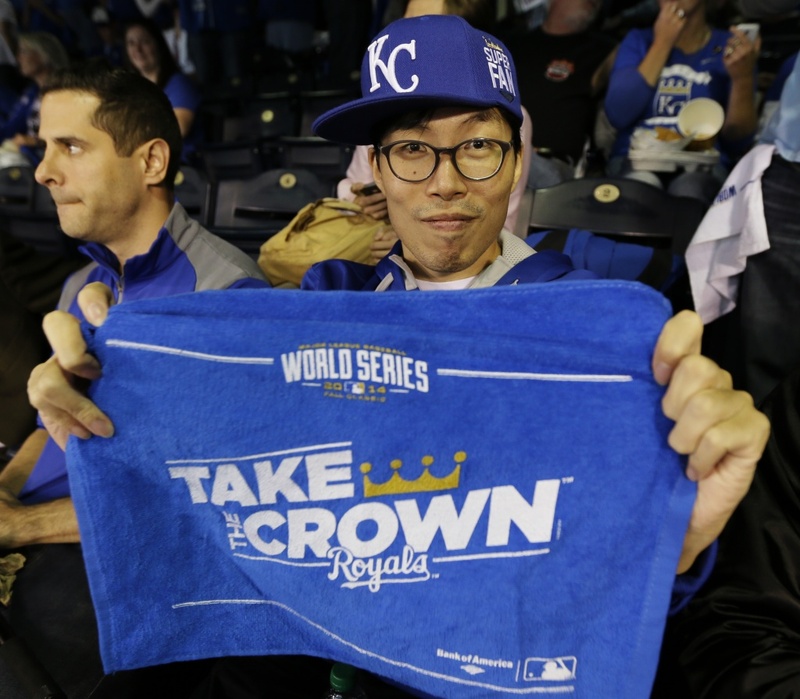 This time Kansas City would rattle off 8 straight wins, some would say partially because of South Korean super-fan Sung Woo Lee making his first ever trip to Kansas City. Lee would be in attendance for the Royals climbing back on top and seemed to re-energize the fanbase, watching one of their own get to experience this team in person for the first time. Alex Gordon stepped up big for Kansas City in August, pulling off a line of .292/.356/.585. As Gordon goes so goes the Royals as the entire team seemed to be picked up by A1’s hot streak. Even when the rest of the team struggled during the month, Gordon picked them up. Eric Hosmer would get hurt during this time which forced designated hitter Billy Butler to 1B where he has long wanted to return(Butler played the position before Hosmer made his way to the big leagues in 2011). The move seemed to energize Butler’s bat and his fielding was nothing to sneeze at. August was also the month that it finally hit some of us; this team had a real shot of making the playoffs. Not only making the postseason but to possibly even win the division. There was still concerns with this team, but they had put themselves into a position to make a serious run and it was close enough to get excited and take this run very seriously. …but then something happened. The Tigers lost on both Friday and Saturday against the Twins by a large margin, depleting Detroit’s bullpen. Kansas City would continue to win against the White Sox, locking up a playoff spot on that Friday night in Chicago and putting themselves in a position to tie Detroit on the final day of the season. If the Tigers lost and the Royals won, there would be a tie for the American League Central and game 163 would have to be played to determine the winner of the division. Unfortunately Detroit took away that opportunity for Kansas City by beating the Twins on Sunday, making them the Central champs and the Royals as the first Wild Card, as they would be at ‘The K’ to take on the A’s in a winner takes all game that would soon go down in history as an all-time great. This game turned out to be a major turning point for this young team as it seemed to give them the confidence they needed and show that yes Virginia, the Royals really are major contenders. This game had a little bit of everything: stolen bases, home runs, injured catchers, questionable bullpen decisions, numerous comebacks, outfielder collisions, and a liner down the third base line that will go down in infamy. More than anything the Royals showed a tendency to defy logic. Back in August I had said that I was just going to enjoy the ride the Royals seemed to be making for a postseason appearance. I had waited 29 years to see ‘my team’ be on baseball’s big stage and felt it would be wrong if I didn’t enjoy it even if I didn’t always agree with Kansas City’s management. 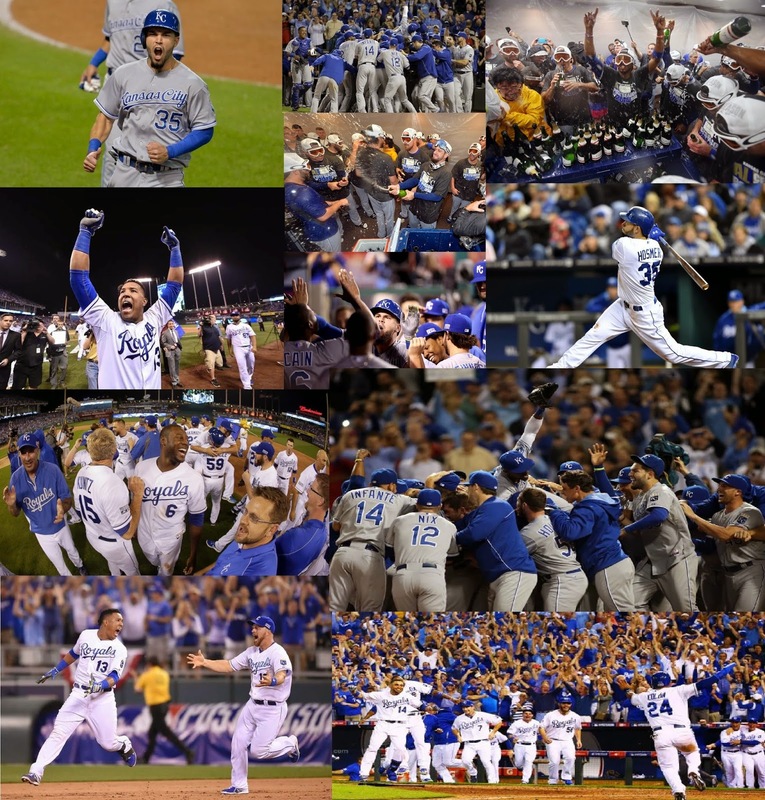 The Royals clinching a Wild Card spot meant the world to me; winning that game at home was icing on the cake. So when the Royals started play in the American League Divisional Series I didn’t have lofty expectations. Sure, I wanted the Royals to win and advance in the playoffs but in some ways it just felt like an extra bonus and was enjoying it as such. What I didn’t expect was how much better they looked in this series against the Angels, the team with the best record in the American League in 2014. The Royals took the first two games in Anaheim, thanks to not the small ball they had prided themselves on but the long ball as both Eric Hosmer and Mike Moustakas came up with big blasts in Games 1 and 2. 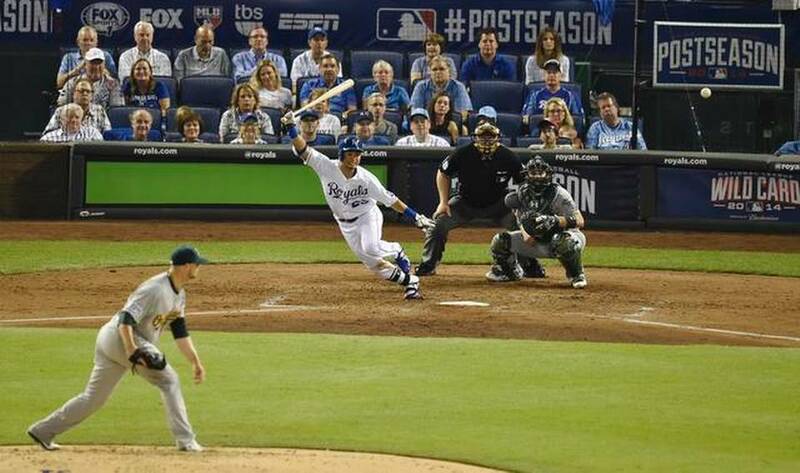 Game 3 was another story, as the series would move to Kauffman Stadium. I was fortunate enough to be in attendance at this game and the Royals showed they were for real, piling up runs early and helping them to an 8-3 victory to finish up the sweep of the Angels and advance them to the American League Championship Series. This team was playing their best baseball of the year and it came at just the right time. Seeing them in this position and seeing 40,000+ of my fellow Royals fans brought a tear to my eye and made me appreciate what was happening. I could pinch myself to make sure this was happening but I knew the truth; the Royals were winning and doing it when it mattered the most. 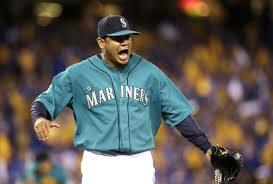 So now it was on to the American League Championship Series against the Baltimore Orioles. There was a little more concern with this series as Baltimore had many of the same strengths as Kansas City and could also trump them when it came to power. The Royals would win games 1 and 2 in Baltimore in dramatic fashion thanks to late inning heroics and the stellar defense and pitching the team had been touting all year round. 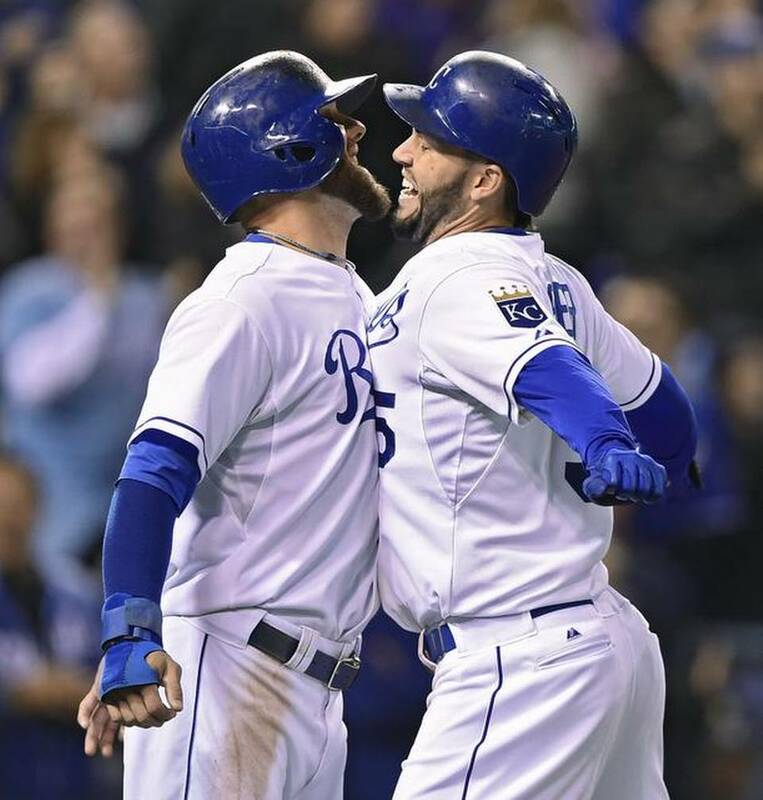 Game 3 returned to Kansas City and would be another tight affair, with a solid outing by Jeremy Guthrie and Mike Moustakas doing his best impression of George Brett at third base, catching a ball and falling into one of the dugout suites. This would lead to game 4 and the Royals would score 2 in the bottom of the first and would never look back. 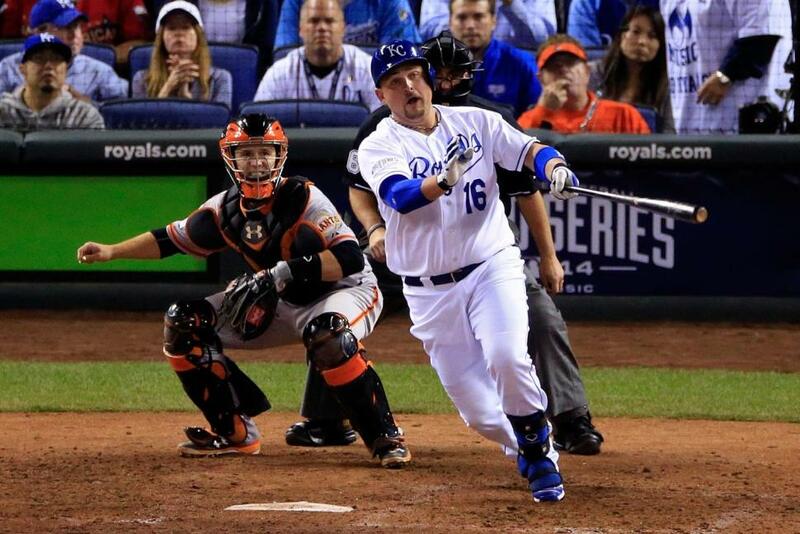 The Royals had swept the Orioles and were headed to the World Series! What was amazing about this series was Kansas City’s offense went M.I.A. late in the series but it didn’t matter; they got enough offense while the pitching and defense continued to do their job. The Royals were 8-0 so far in this postseason and it almost seemed like they would never lose, even if we all knew they would eventually. I spent most of this year feeling like this didn’t have the feel of a playoff team but even I knew that if they got there(IF) they were a team made for the playoffs. So far they had shown it, and were now only 4 wins away from a World Championship. 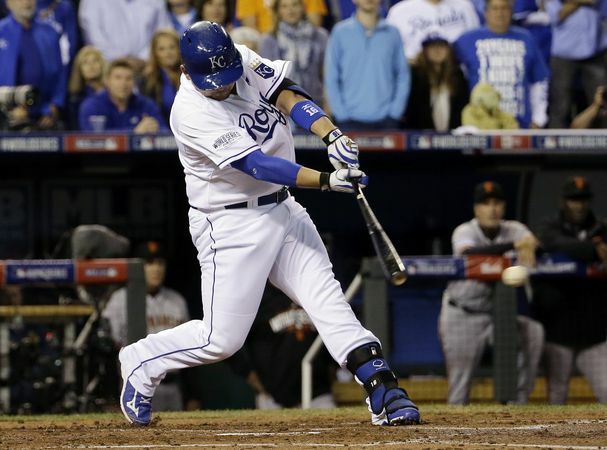 The Royals were set now and ready to play the San Francisco Giants to be called champion. Honestly, none of us saw this coming. 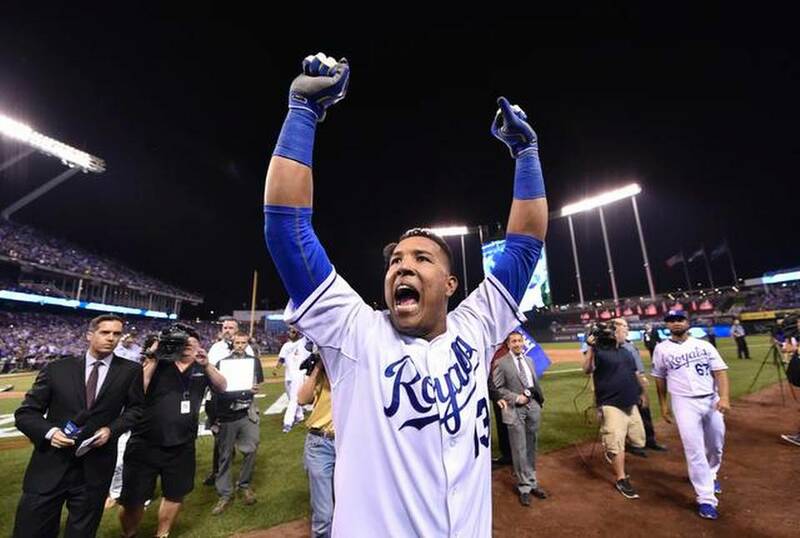 Just the fact they got to this point meant the world to us Royals fans, nevermind the shot at being World Champions. The Royals would battle in this series and even went ahead 2 games to 1 after Game 3 but the Royals just couldn’t solve the Madison Bumgarner rubik cube. It went all the way to Game 7 where they would lose by the thinnest of margins, 3-2. I felt so much pride that night but also sadness because of the loss. I had started to believe during the ALCS and really felt like the Royals were going to get themselves a new trophy to put in the Royals Hall of Fame. Instead they came up just short, as Alex Gordon was literally just 90 feet away as Salvador Perez popped up to end the game. I shut off the television and went to do something else; I couldn’t watch the Giants celebrate. As sports often do to you, the loss was breaking my heart. After 29 years I wanted to win it all. You can’t fault any of us for wanting this magical ride to end with the highest of honors. It just wasn’t meant to be. But I’ve had almost a week now to get back to normal and I started to ask myself ‘what am I going to remember about this 2014 Royals team?’. I’m going to remember how good the pitching and defense was all season. I’m going to remember the excitement of finally getting to the playoffs after all these years. I’m going to remember how great this team played when they needed to, in October. More than anything I will remember how the team was energized by the Royals fanbase. This team fed off of us, the fans and they embraced it when they didn’t have to. They never gave up just as we never gave up, no matter how many times this team was down in the playoffs. I am going to remember how I felt watching this all unfold and how it reminded me that as much as I love numbers and how they can tell a big part of the book, they don’t always tell the whole story. More than anything I believed. I think I had forgotten how to somewhere along the way, but I believed this team could win the whole damn thing. They almost did. So thank you, Kansas City. Thanks for being you. You reminded me just why I bleed Royal blue. Now let’s win it in 2015!